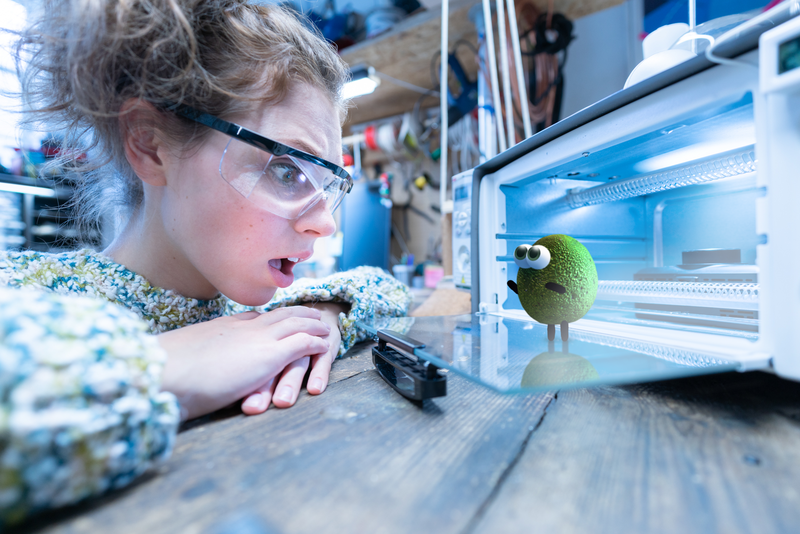 Part four of a four part series addressing how a new game about an avocado and a young inventor sketches out new ideas for both television and video games, and how Netflix’s Bandersnatch does not. Part one looks at mobile interactions and lean-in, lean-out. Part two unpicks the broader context of platforms and formats. 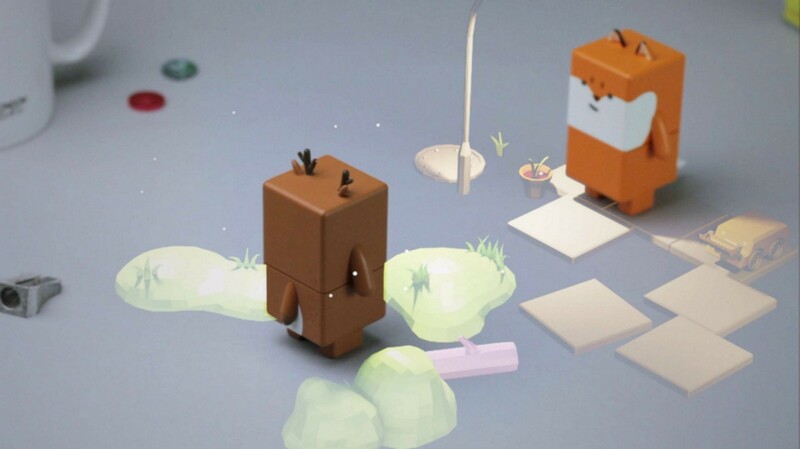 Part three explores the new grammar of television and games. This is part four, summarising an optimistic narrative for tech and format invention. Finally, after all this talk of technique, the sense of optimism that suffuses Avo is not just in the tech, but also the narrative, mise en scène and characters: the story. Again, this is where Bandersnatch suffers in comparison. The Black Mirror series is fundamentally nihilistic generally, yet its Bandersnatch, in making you directly complicit in directing its choice-architecture, whilst also making clear its manipulation of you, takes this next-level. The coded structure of the enterprise itself is dark enough, yet the story-world is also unremittingly bleak. An occasional moment of stolen joy — elegiac synthpop from a Walkman on the bus — is a fleeting spike amidst the studied cynicism and compromised nostalgia that flatlines the environment elsewhere. The care, craft and, yes, optimism fuelled in those early days of the ZX Spectrum and the Commie 64, BASIC on the BBC B or Hypercard on the first Mac, is largely lost here. Coding, as performed in Bandersnatch, seems only an arrogant, disdainful, almost throwaway act. I was one of thousands of British kids who hand-typed code from the pages of C&VG into my Spectrum in the mid-1980s. It seemed an almost alchemical process, transforming words on a page or screeches from a tape into images and interactions on-screen. Later, a formative set-text for me, as a late-’80s Comp Sci undergraduate, was Douglas Hofstader’s Gödel, Escher, Bach: An Eternal Golden Braid. There was a sense that code might produce structures and dynamics that might one day be akin to the complexity of Glenn Gould playing Bach’s Goldberg Variations. And there is none of that magic and beauty in Bandersnatch. Our world is now more cynical about code, or what it has produced, and often for good reason. Yet our issue there is not code, but a particularly virulent strain of capitalism. 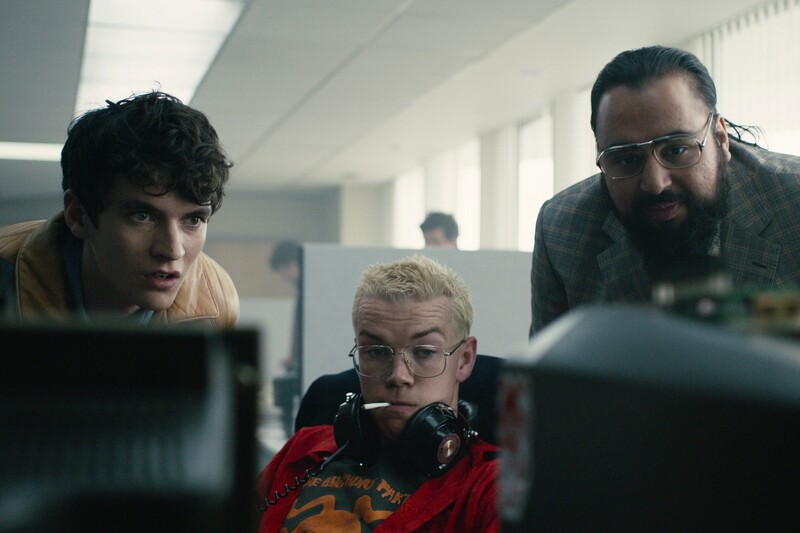 For all of its craft, Bandersnatch is pointing its narrative shotgun in the wrong direction, when portraying Ritman, code, and gaming culture. It’s optimistic but not utopian, particularly as regards tech. Billie’s lab is a mess, full of detritus and boxes, more like a shed in Solihull than a lab in Seoul. Her machines, designed for Avo by Oscar Lhermitte, beautifully evoke this hand-built, knocked-together sophistication. This is a particularly British myth, quite unlike a Germanic myth of the half-robotic kilometre square Wolfsburg plant and its surrounding industry-four-point-zeroed mittelstand, or an American myth of the Tesla Gigafactory in the desert. Instead, it’s Trevor Baylis inventing the wind-up radio in his shed, Emily Cummins doing likewise with a solar evaporation radiator, Terry Gilliam’s animations, or Archigram and the entire British hi-tech architecture scene of Rogers, Foster et al growing up amidst World War II and its ‘Hobart’s funnies’, bouncing bombs, Maunsell Forts, inflatable tanks, and flailing anti-mine lawnmower attachments. It’s Bond’s Q, Clive Sinclair, and a MG BGT. Not necessarily reliable, and sometimes not even good, but interesting, inventive, malleable. And thus human. That is not a pessimistic, fatalist position, but in fact optimistic, if you believe in making things that are hackable, endlessly fixable, adaptive and open. It’s a belief in the democratic, transforming power of technology. With its roots in the shed rather than the garage, the North Circular rather than the 101, it feels far removed from the crass blitzscaling of the global platform plays, yet is technically sophisticated nonetheless. This also concerns size and scale, the unlikely link between the hand, the phone, and the avocado. 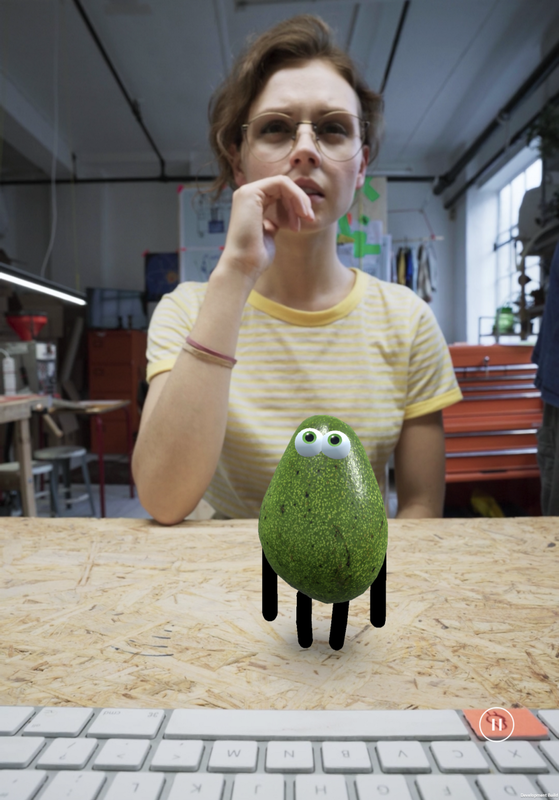 Avo is not a hulking soft robotics Michelin Man, like Big Hero 6. Instead, it’s the size of your hand, a product class defined around that intimacy: toys, cameras, pens, radios, and yes, phones. It’s also a feature of many of the team’s frequent reference points, like Big, Mary Poppins, Toy Story. This, again, reveals an intrinsically human perspective. Awkward, and sometimes a bit useless, yet lovable, engaging, and all eventually quietly triumphant, whether Mary Poppins bringing down the banking system (sorta) or Mr Potato Head et al defeating a different kind of avarice, or surviving the inevitable fading of childhood. 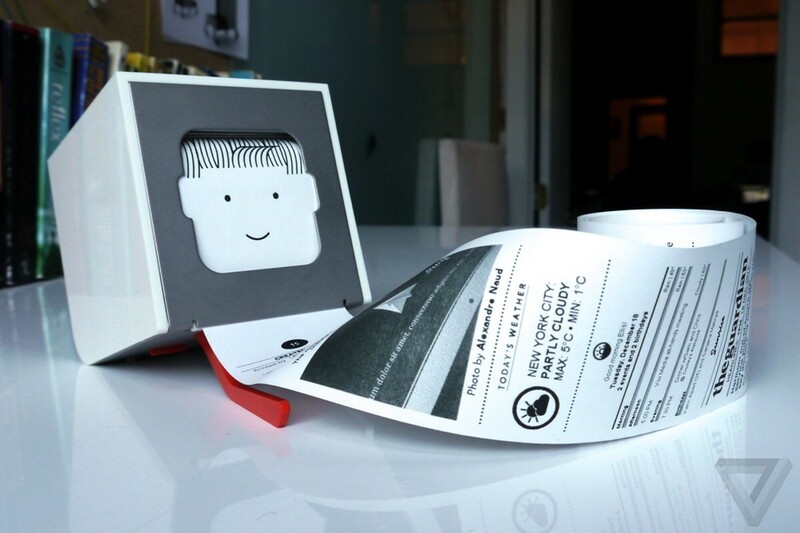 Despite the latent commerce, the drama is gentler than you’d normally find in a videogame. The latter tend to set the dial at Ride of the Valkyries and head north from there. 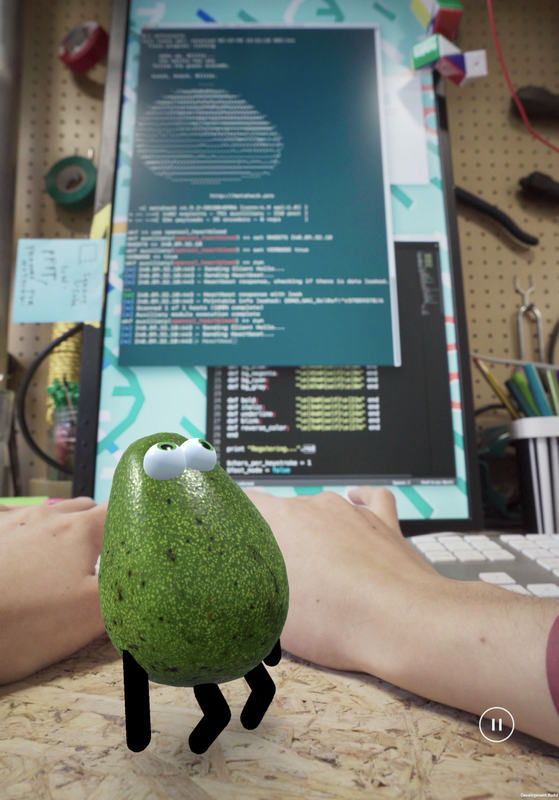 Avo is instead redolent of the childrens’ TV of an earlier age, a similar vintage to the early videogames and computer scene Bandersnatch is situated in, yet largely misrepresents. Avo feels a little Blue Peter, Tomorrow’s World, and Crystal Maze. A bit Philbin. But I’m showing my age. And Playdeo will swear they’re as influenced by Hollywood and Tokyo as much as anywhere, either way. As I write this, in a cafe in suburban Stockholm, a dad and his kid next to me are hovering a phone over the table in front of them, in that peculiar swaying, circling movement common to augmented reality, arms and wrists as meat steadycams, framing some imagined scene in one of Arijon’s invisible projected triangles. I can’t see the display, but I recognise the motion, a genuinely 21st century set of gestures, soon to be all around us. McLuhan would later revise his medium is the message aphorism, suggesting that “each technology creates a new environment”. With AR, and with Avo, the focus is indeed environmental. If the first wave of cinema was made by theatre people, and the second wave by auteurs, what happens when designers, videogames studios, and technology companies make film and TV? Avo, at least, feels predicated on an optimism about humans and tech — a sensibility desperately needed right now — in both the narrative and its milieu, and in the game design and format invention itself. Google’s Stadia is clearly megalomaniacally ambitious, as befits one of the world’s most megalomaniacal companies, yet is also, at core, pivoting around a socialisation of videogames and video. These developments, and many others to follow, are sketching out a new grammar for film, tv and games, one that is spatial and physical, visual and social, cinematic and interactive. 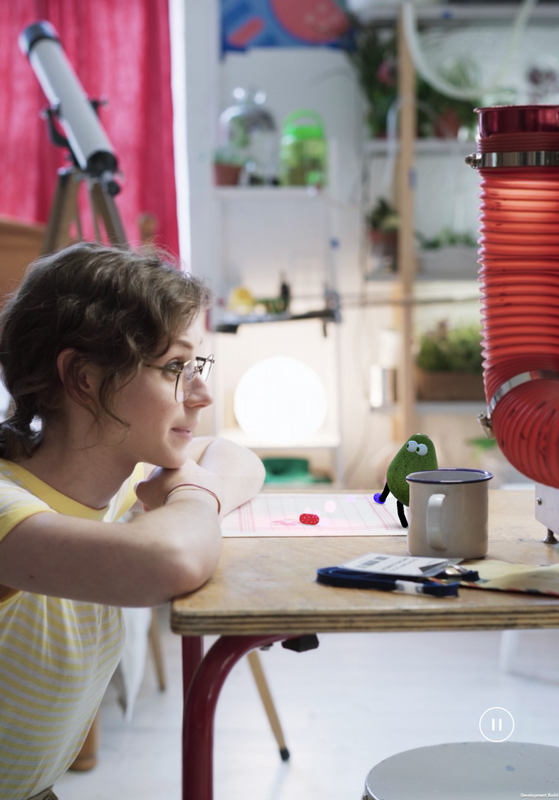 These experiments in form are fascinating to engage with here and now, and in the hands of inventive optimists, at Playdeo or Google, also tell us something about how formal experiments might have wider meaning for our fundamentally important relationship with technology. And form is substance. This is the last part of a four-part series. Part one looks at mobile interactions and lean-in, lean-out. Part two unpicks the broader context of platforms and formats. Part three explores the new grammar of television and games. This was part four, summarising an optimistic narrative for tech and format invention.